Troy Dillard , 1969 ,Stacey Dillard ,1972 , Bill Barton,1975, Tommy Barton,1983, Andy Barton , 1985 More…. I look forward to the class reunion. Janis Parker Barton has a birthday today. New comment added. Janis Parker Barton updated profile. View. 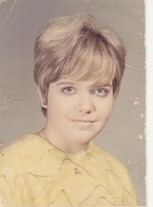 Janis Parker Barton changed "Now" picture. Janis Parker Barton changed profile picture. Janis Parker Barton added a photo to profile gallery.